Epoxy flooring is the new must-have for your house. This wonder product made from epoxy resins is the best type of protection from scratches and marks that you can ever provide to your concrete floors. It is not only a good investment in terms of cost but its contemporary designs and beautiful polished surfaces also make it the ideal option to flaunt both inside and outside your home. The quality of the epoxy floors varies depending upon the technical knowledge of the chemical characteristics and the base standards used by the manufacturing company as well as the skill and expertise of the contractor. The procedure that Smarter Flooring follows for constructing an epoxy floor is to paint continuous layers of epoxy resin one on top of the other onto the floor surface. It is then left to dry for at least 24 hours, after which its strength and durability continues to increase gradually and visibly. 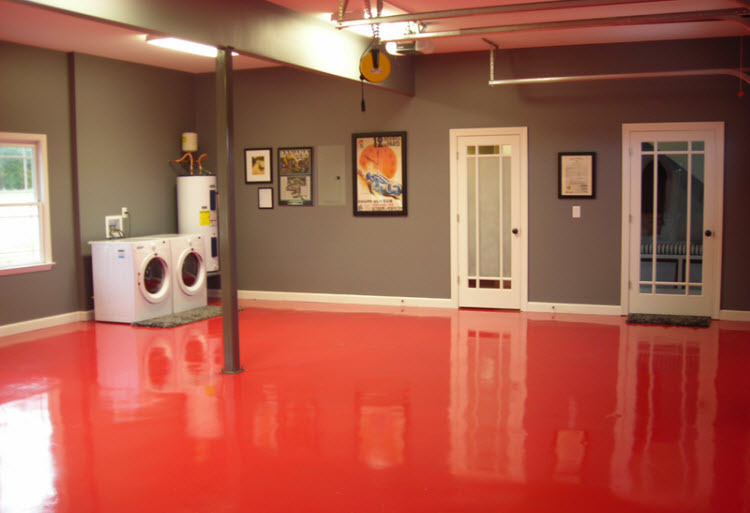 There are innumerous benefits associated with getting epoxy floors in homes, offices, commercial and industrial areas as well as retail spaces. Our epoxy resins increases the firmness and rigidity of any given concrete floor by forming strong consistent bonds. This automatically results in keeping the actual appearance and quality of your floor intact for a much longer period of time. Being water and dust resistant, epoxy floors that we provide are the perfect alternate to poor quality flooring specifically in terms of cleanliness and hygiene. It also decreases the probability of the occurrence of dust related allergies such as asthma. These floors are very strong in nature and can therefore hold against any chemicals, scrapes or those inevitable everyday scratches that all surfaces usually go through. Moreover, we also guarantee that these floors will not effected by highly fluctuating temperature changes. Epoxy resins are economical enough to be the choice of flooring in large public building such as airports to even huge industrial units due to their long lasting life to price ratio. Moreover, they are resistant to water and other chemicals which further assists in cutting down the maintenance cost structure drastically in comparison to other type of floorings. It is vital however, to be careful before selecting any manufacturer for setting up your epoxy flooring. Protect yourself from poor quality of degraded flooring by working with only the best. In order to get your money’s worth only select reliable contractors such as Smarter Flooring which will guarantee you smooth floors of the finest material and ensure your comfort for years to come.